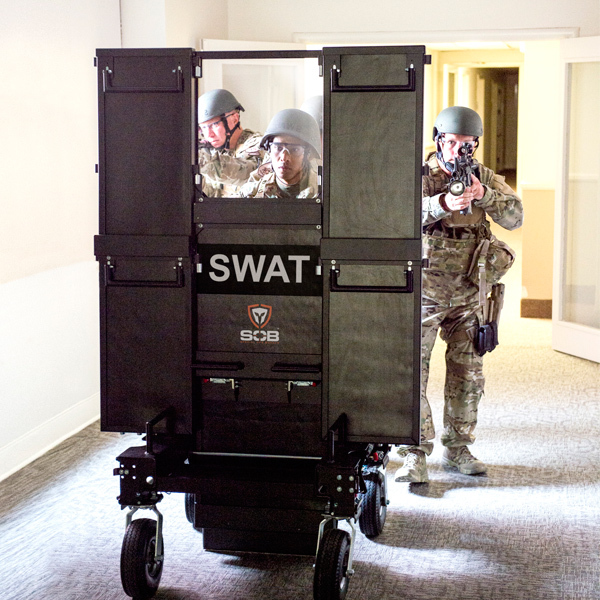 The SOB can best be described as a portable rolling rifle grade ballistic shield. 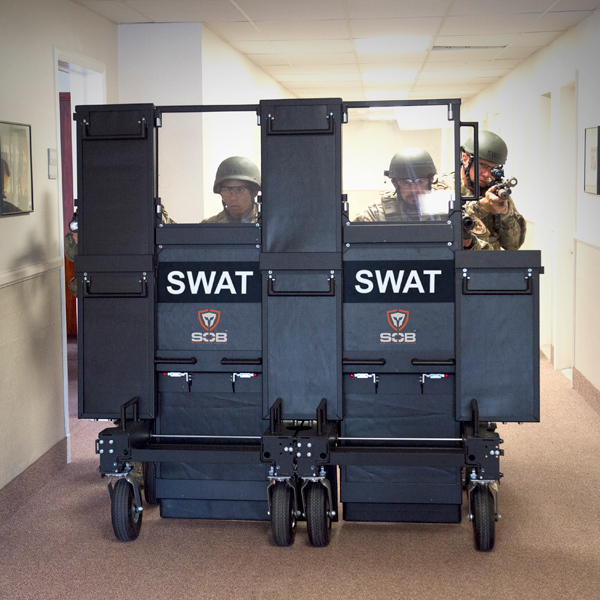 The SOB™ is the only personal defense system of it’s kind, offering the ideal mix of ballistic protection and mobility. It is designed for easy transport and quick deployment. 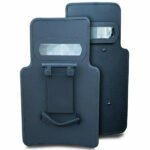 After all, armor is worthless if you can’t take it with you. 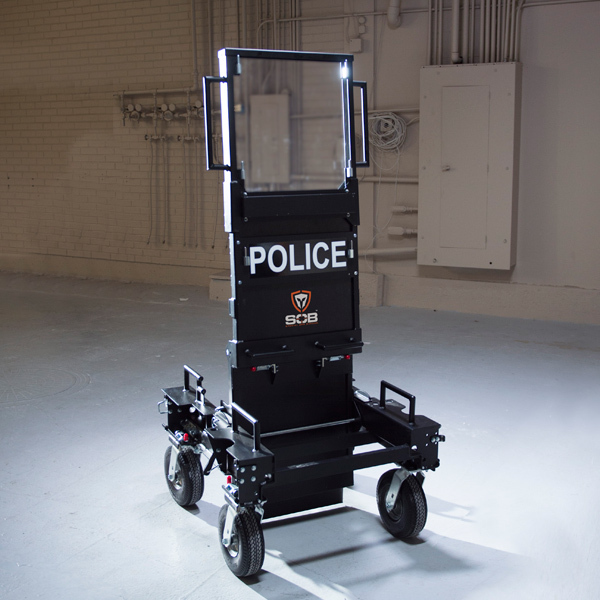 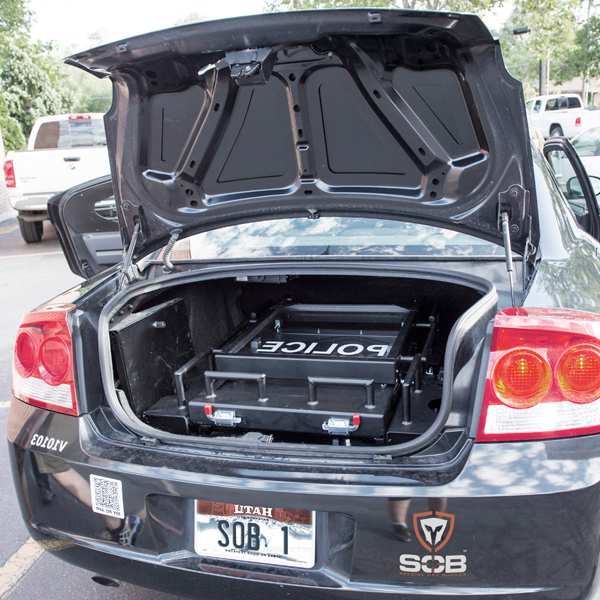 Our unique patented design allows the SOB™ to collapse into a single compact unit, small enough to fit in the trunk of a patrol car for transport or storage. 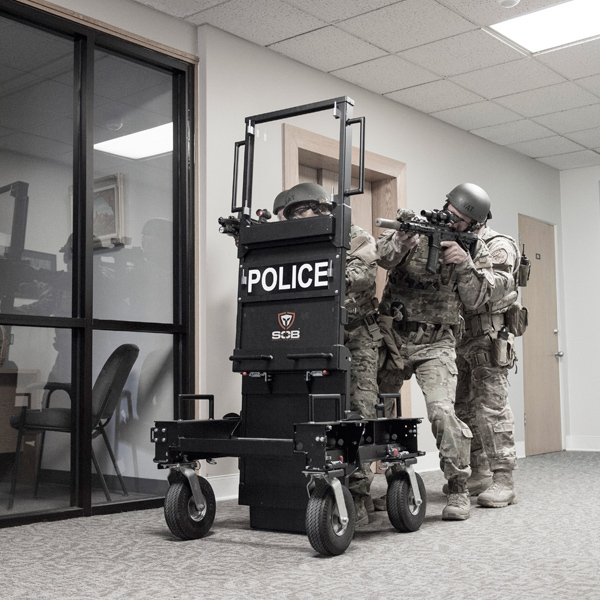 When its services are needed, it can be fully deployed in less than twenty seconds.